A video wall (a.k.a. display wall) is a system of multiple connected displays which work together to present one larger image. Video walls today are made with many different solutions to reduce the amount of dead space and produce the best solution. 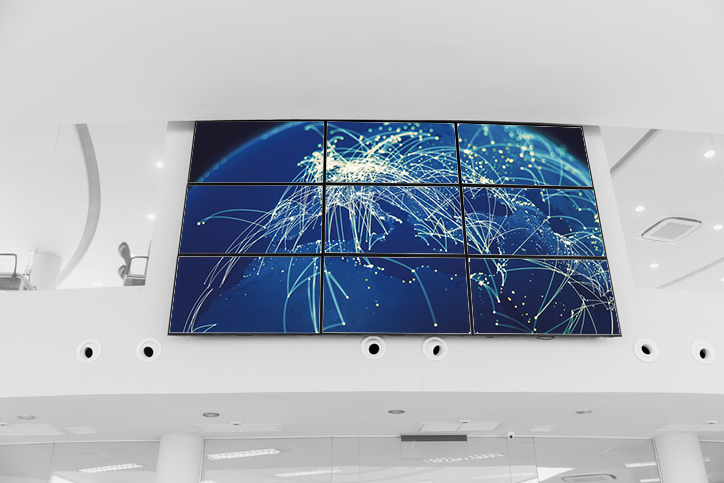 AVS offers a complete portfolio of high-quality video walls. Each video wall is engineered to meet and exceed your needs so that it works perfectly for you. Every AVS video wall is built for your custom needs. Our displays have high brightness, wide viewing angles, thin bevels and enhance your customers’ viewing experience.